While in Venice, CA I really enjoyed being able to get out and walk down the street to grab some lunch or whatever. Exploring along the way, I found this. 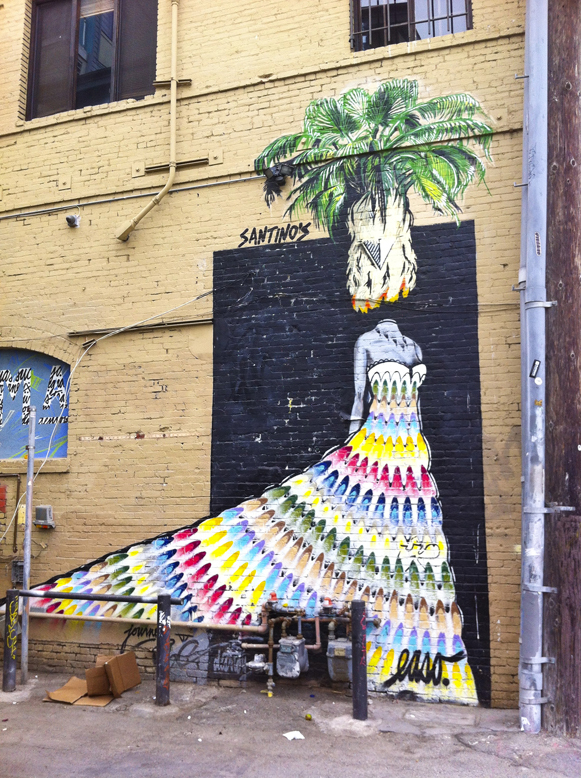 There is no shortage of graffiti and elaborate murals in this city, but of course this dress jumped out at me at first glance. And, the more I look at it, the more I love it!